Are you ready for some bread pretzels with beer cheese? That’s what I thought! Welcome! If you absolutely can’t wait, you can jump straight to the recipe right below this photo. 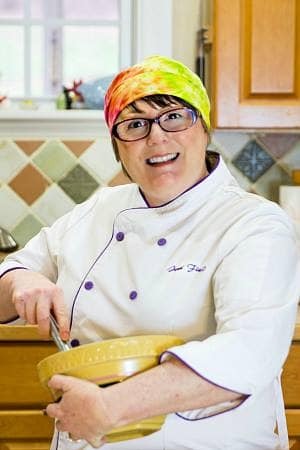 This month, the Progressive Eats team, join Heather from All Roads Lead to the Kitchen in celebrating pretzels! As far as I’m concerned, this works out really well on a few levels. First: pretzels. Yum! And second: beer. April is North Carolina Beer Month, and what goes together better than pretzels and beer? Exactly. Nothing. Salty snacks are traditionally served with beer partly because the saltiness is a nice contrast to malty, hoppy beer. But bars also want to make money and sell more beer, so salty snacks encourage more drinking. Responsibly, of course. But if you ever sidled up to a bar and wondered why you couldn’t get some lovely cucumber slices to go with your beer, now you know. And third, but not least: National Pretzel Day! What better way to celebrate than with a boatload of amazing recipes, some of which feature pretzels as an ingredient and others of which feature scratch-made pretzels? Hooray! Back when I worked at the restaurant, one of my responsibilities was to keep the place in soft pretzels and delicious taleggio porter fondue. This meant that I sometimes made up to 48 pretzels in a batch and made quarts of ridiculously good cheese sauce at a time. For this month’s post, I’m revisiting those days. The pretzels themselves are the same as I used to make them, based on a solid recipe from Alton Brown that has really stood the test of time. The sauce, a very thick jazzed up Mornay sauce made with beer, is very easy to make and endlessly adaptable–pick your favorite cheeses that melt well and flavors that will complement them, switch up the beer you use, etc. I went with a Very Lot of ground mustard, whole grain mustard, white pepper, sharp aged Provolone and some Grana Padana, an American hard grating cheese similar to Parmesan. Feel free to use a good Parm instead if you have it. Making these pretzels and especially making the malty rich cheese sauce took me back to my restaurant days. The recipe was scaled down to a mere 12 pretzels and about 2 cups of sauce, and I wasn’t wearing clogs, but the sense of smell is a powerful thing. The heady aroma of beer, mustard and cheese burbling away in the pan snapped me right back to my time in the kitchen. Who’d have thought that bread pretzels with beer cheese could make me feel so nostalgic? I almost expected to hear the sound of the tickets spitting out of the machine. Anyone who has ever worked back of the house has a love-hate relationship with that sound. But I can assure you, anyone who ever ate these pretzels dipped in rich fondue immediately fell in love. I hope you do, too. Click to grab the recipe and also see all the other Pretzel Party deliciousness. You guys–Progressive Eats always rocks, and this month is no different, so don’t miss out! Taleggio Porter Fondue? HELLLLOOOO! That sounds amazing. And I’m always down for beer cheese with my pretzels, as well. 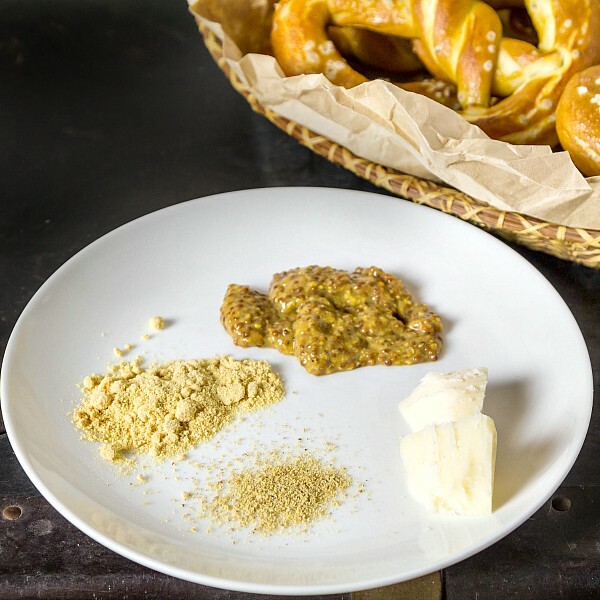 My base pretzel recipe is AB’s, too – it turns out perfectly every time! Yes, such a great formula–and so easy to make. But dang, the magic is in that sauce! If you try it, give it a go with the taleggio, but either way, it is Pretty Dang Good! Your pretzels look just like the SuperPretzels we would get when my dad would take me to a baseball game when I was a kid — they look delicious! 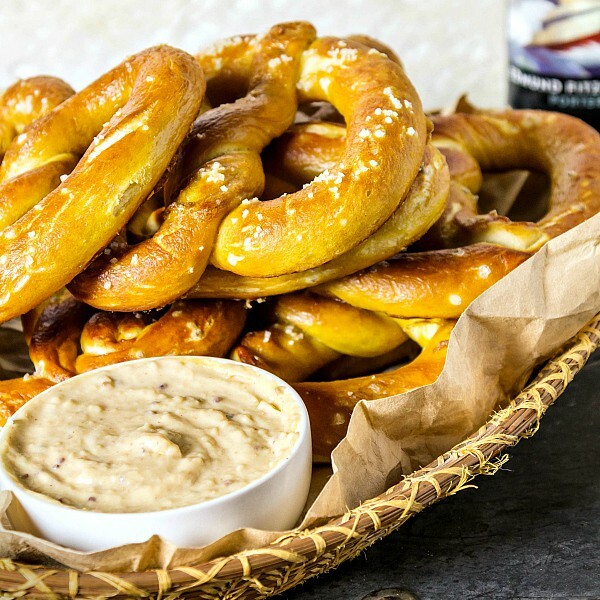 Your pretzels look picture perfect, Jenni, and paired with your fabulous beer cheese sounds like the perfect snack (or dinner ;)). I’m loving everything about this…that cheese!! 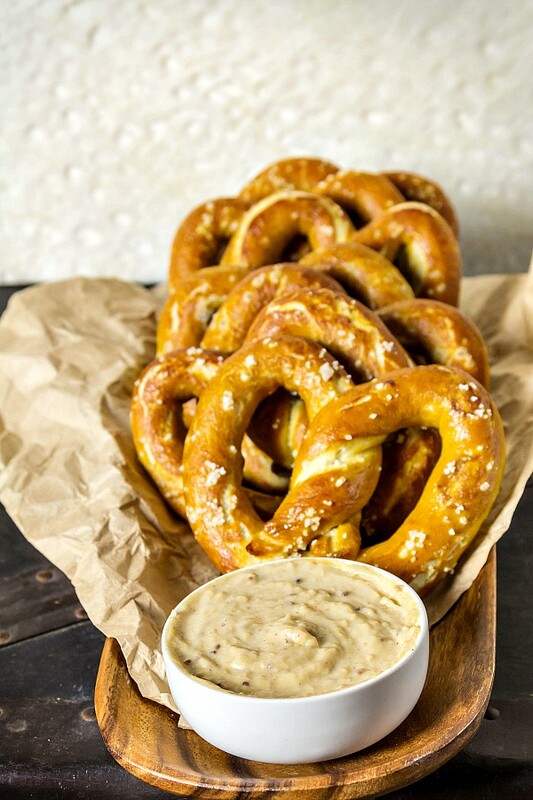 Wow, your pretzels look so great and you can NEVER go wrong with beer cheese. These look great Jenni! Thanks, Sabrina! That cheese is too good. I had to send it away with my husband to work today! Completely gorgeous and amazingly delicious! My guys have been begging for homemade pretzels, I need to give these a try immediately! I’m afraid you do. The cheese sauce is swoony, if I do say so myself!